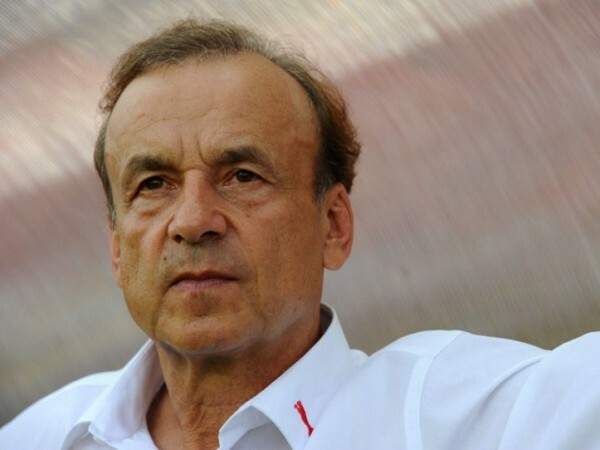 TWENTY FOUR hours after I published my column last week, Complete Sports ran an exclusive interview with Super Eagles coach Gernot Rohr where he answered virtually every question posed or implied in my column. Question: Congratulations on your victory over Zambia. Two wins from two games, how do you feel? ROHR: I feel great starting my job as coach of the Super Eagles on a good note, winning two competitive games. The recent win in Zambia gives me the feeling that we are up to something great. It is nice to work with the players and officials in the team and the federation has also made my stay so far wonderful. I am enjoying my stay here in Nigeria. You will host Algeria in your next game in the 2018 World Cup qualifier. What do you really know about the Algerians? We know them very well because most of the players have been educated in France, played in France, coming from the French academy and some of them played for French junior teams before changing nationality. I have seen them play live and I know their set up. Of course I know they have quality players but we will know more about them when the video clips and reports of their game against Cameroun get to us. I sent someone to watch the game and I am waiting for the details. I have also seen the match on TV. We will do analysis of the video when we get it and then take it from there to know how to prepare for them. Two English Premier League side, Leicester City players Riyad Mahrez and Islam Slimani are the star men in the Algerian team. Will you pay special attention to these players? There are big players and star men everywhere; in Zambia we have Kalaba, Mbesuma, Kalingo and others. Perhaps these ones are at a higher level. We know it will be very difficult to beat the Algerians but we have confidence now and will be ready for them. We will not pay special attention on Mahrez or Slimani. Now, our team is in high spirit and confidence collectively, so we are not afraid of the Algerian team. How were you able to restore confidence and good spirit in the Super Eagles? There is no magic about that. I am a positive man and I know the talents are there in Nigeria and all I needed was (to give them) a fatherly guidance to get going. They responded well to invitation to camp and their attitude has been wonderful. There were lots of communication between us and I demanded discipline on and off the field from them. Good ambience and work ethics have also helped in restoring confidence back in the team. They made sacrifice for one week prior to the game in Zambia, they did not go out, did not see their families and it was only work in camp. I kept them busy after training with videos and meetings. The spirit was good and we took it to Zambia and won, so they know the reward for hard work now and we hope to continue to improve from there. Will you assure Nigerians that this spirit is good enough to secure the World Cup ticket ahead of Algeria, Cameroun and Zambia? Yes, my players want to have the World Cup ticket. The ticket will be difficult but everybody knows that we have the capacity to come first out of this group but you know it requires a lot of hard work. We have already three points, I am sure with 12 points we could be the team coming out of this group to qualify for the World Cup. We shall work very hard to ensure that we win all three of our home matches to get 12 points. After the first game, we are on top and we can say Cameroon did well to get a draw in Algeria and now it is in our hands to beat the Algerians in Uyo. I know that it will be difficult because they will also come for a win in Uyo but we will try all within our power to win and remain on top. After reading the full interview, I came away with the impression that Rohr had a very good knowledge of the task at hand and what he needs to do to be successful. For instance, it is clear that he knows the Algerian players very well which is quite reassuring. And while acknowledging the difficulty that will come with facing them which we have all talked about since the victory in Zambia, Rohr expressed confidence in his own team’s ability to emerge victorious nevertheless. Again, I found that very reassuring. Where I disagree with Rohr in that interview is his insistence on bringing former Super Eagles goalkeeper and captain Vincent Enyeama back into the team at some stage. To put the records straight, Enyeama quit the national team voluntarily and NOT because of his altercations with erstwhile coach Sunday altercations with erstwhile coach Sunday Oliseh as many commentators like to claim. The face-off between the two over Enyeama’s plans for his late mother’s burial seemingly sped things up, but the fact remains that Enyeama indicated his desire to retire from the Eagles even BEFORE Oliseh was appointed. My advise to Rohr is to not reopen the Enyeama affair. Instead, he should concentrate on encouraging Carl Ikeme who is doing a great job so far, while grooming a capable deputy from amongst the other goalkeepers in camp. Enyeama has served Nigeria meritoriously, but his return may be complicated partly because he was a former captain of the team. Rohr should let the sleeping dog lie. After only two competitive games in charge, it is definitely too early to speculate on what Rohr’s tenure might bring to Nigerian football in the long term. But after reading his interview with Complete Sports, I just have this feeling that the Super Eagles are in “safe hands” at the moment. With some luck, victory over Algeria next month may spark a Rohr Revolution in Nigerian football. THIS WEEK MONDAY night’s English Premier League match between Liverpool and Manchester United at Anfield turned out to be a big bore, contrary to all the pre-match hype. It ended goalless, no thanks to United coach Jose Mourinho’s defensive tactics which stifled the hitherto free-scoring Liverpool attack. In post-match analyses, most flak have been directed at Mourinho allegedly for playing “negative football” which saw United holding only 35% possession of the ball in 90 minutes. 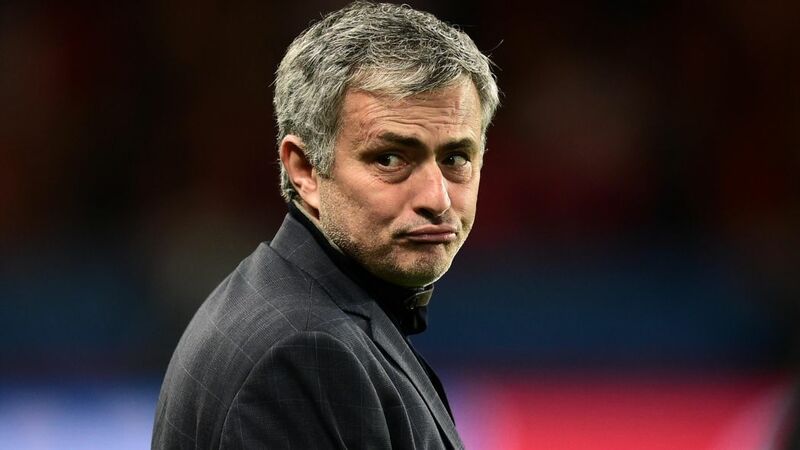 I am a Liverpool fan but rather than join in slamming Mourinho as a “spoiler”, my view is to salute his pragmatism. The onus was on the home team to break down the United defensive wall, but they couldn’t go gung-ho apparently because coach Jurgen Klopp was also mindful of United’s threat on the counter-attack. In the end, the mutual respect between both teams resulted in the scoreless conclusion. I have always held the view that a great defensive side will often triumph over a great attacking side, every other thing being equal (Reference: The Defenders Are Winning, Soccertalk, March 15, 2005). On Monday, Mourinho’s clear objective was for United to not lose. On that basis, his pragmatism triumphed on the night because Liverpool who wanted to win, could not. I HAVE been invited as Chairman of the occasion at the 1st Stationery Stores Football Club Supporters Awards Day holding on Saturday, 22 October, 2016 at the Legacy Pitch of the National Stadium, Surulere, Lagos. Father of the Day will be Alhaji Lateef Kayode Jakande, first Executive Governor of Lagos State. Interim national secretary of the Stationery Stores Supporters Trust, Mr. Yomi Opakunle says the Trust decided on the awards ceremony to recognize some of those who have made selfless contributions to the club in its glorious history. It’s a remarkable thing that even though the football club itself is not active at the moment, its supporters have kept the flame alive with the hope that one day, the Flaming Flamingos would be fully resuscitated. I salute the dedication of these supporters and I feel honoured to have been invited as chairman of the awards ceremony. I am told that the event is open to all fans and friends of Super Stores. Everyone is invited, so I hope to see YOU there. Up Flaming!! !